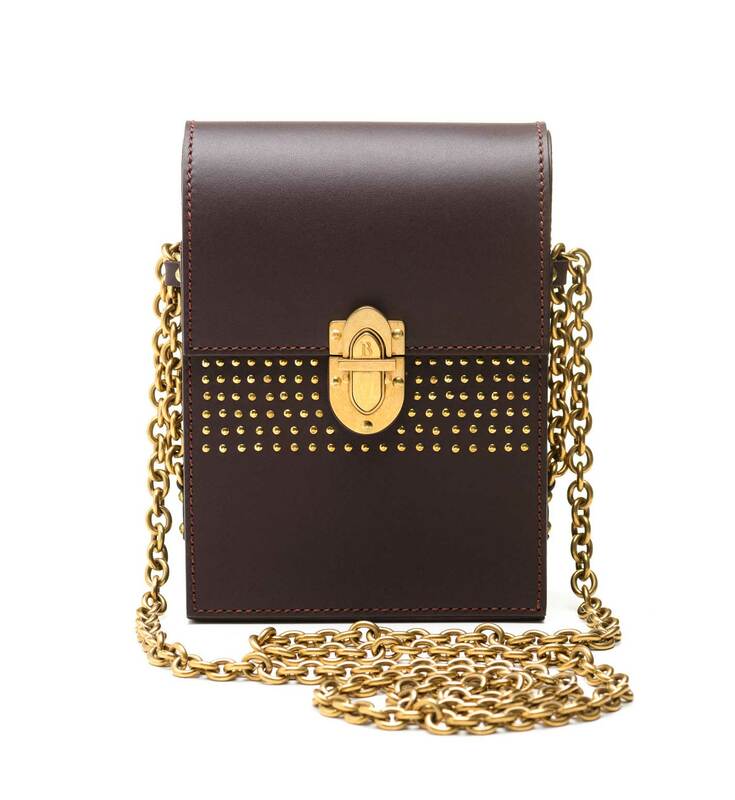 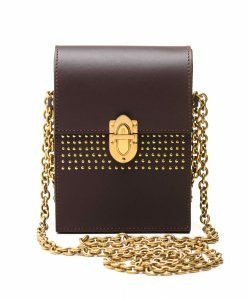 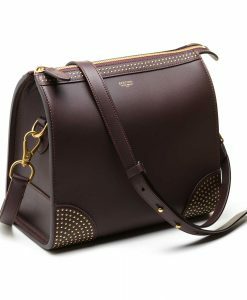 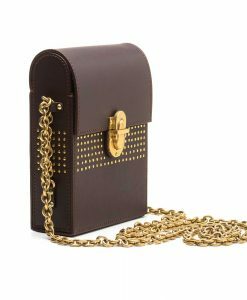 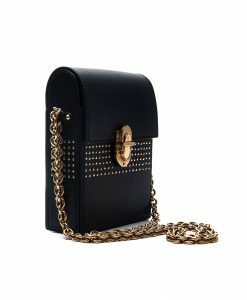 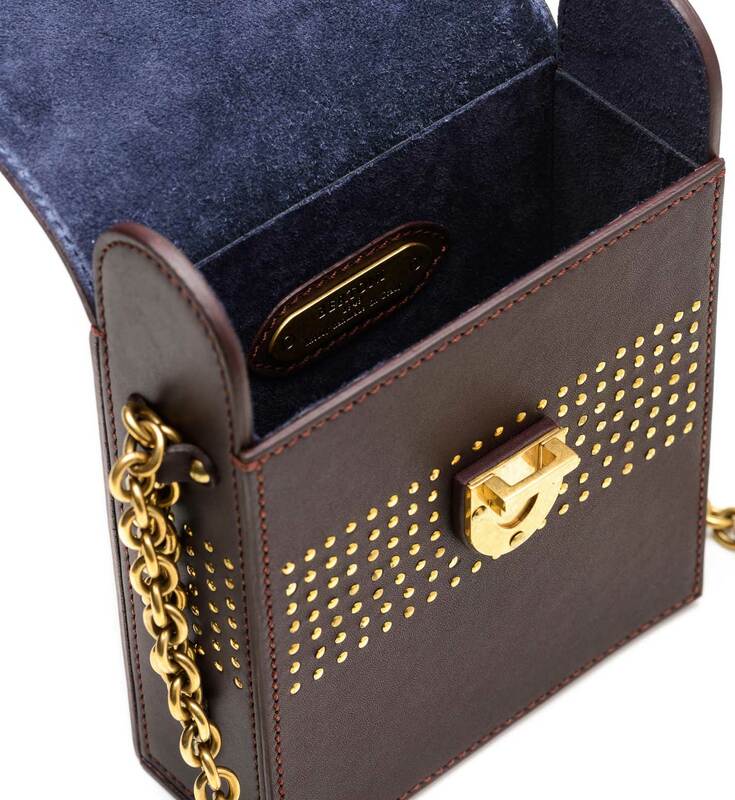 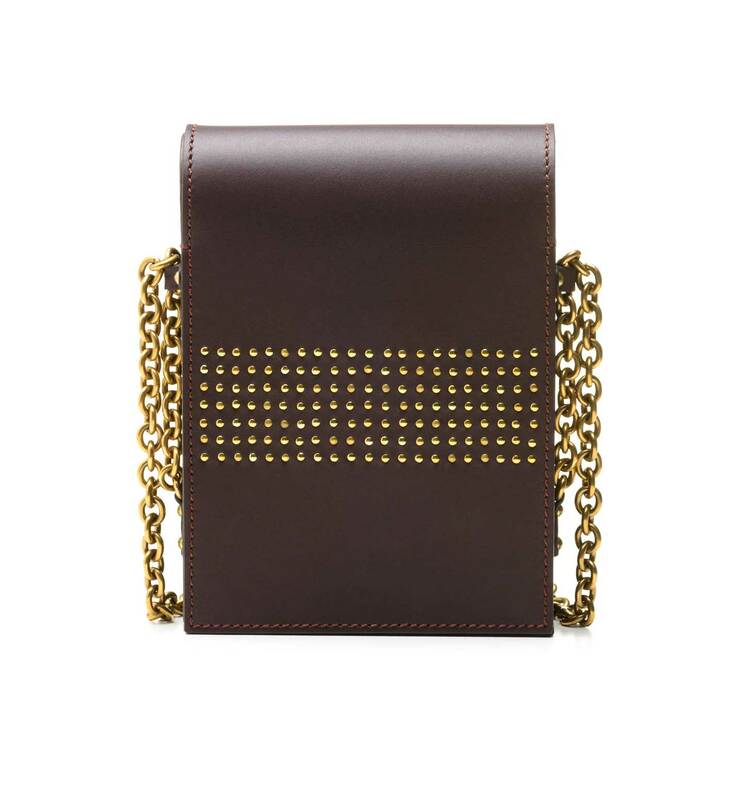 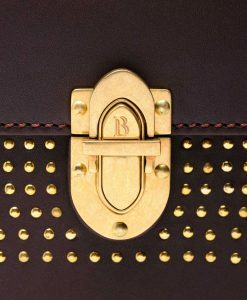 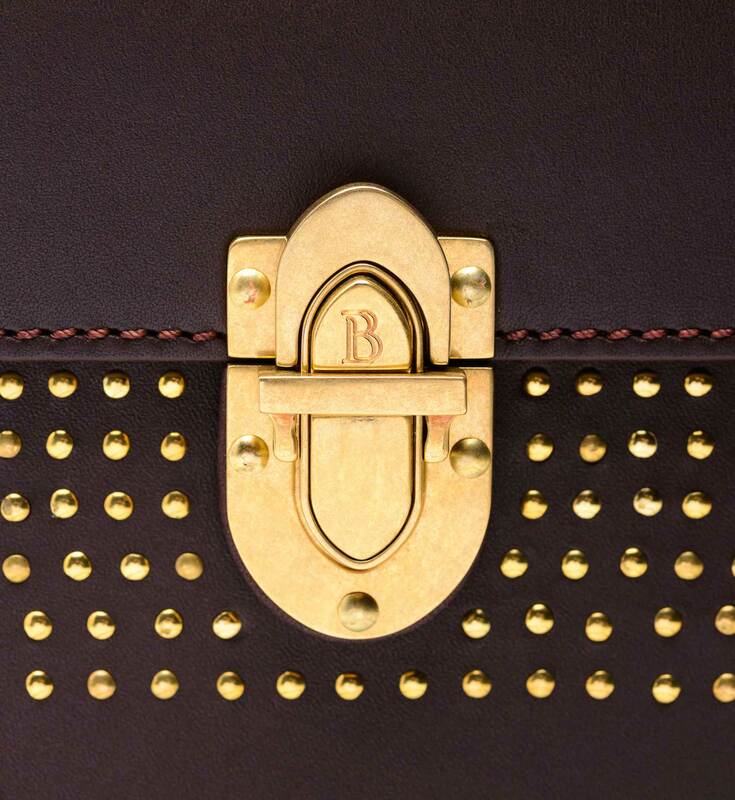 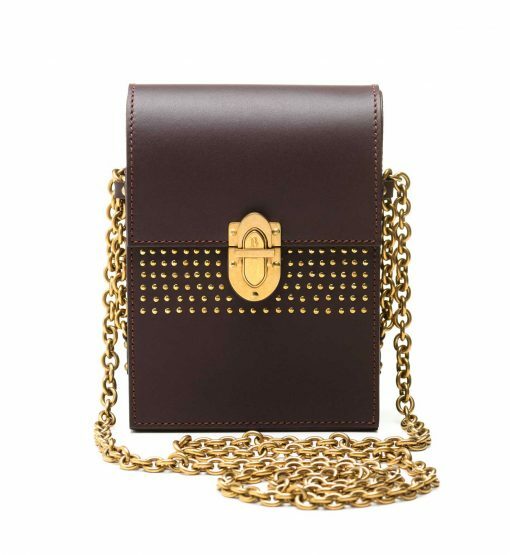 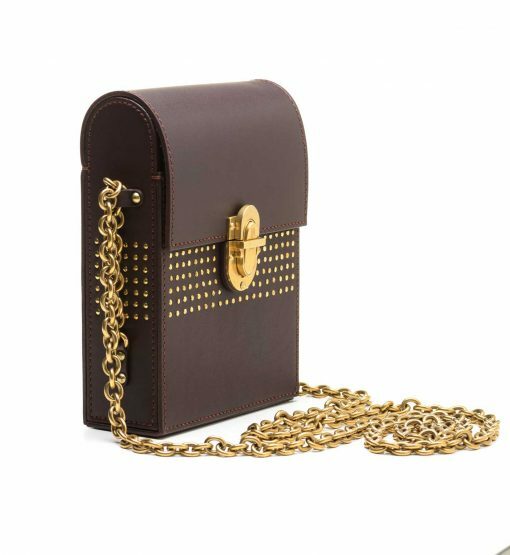 Bertoni 1949 Gigi bag is decorated with antique gold ornamental studs. 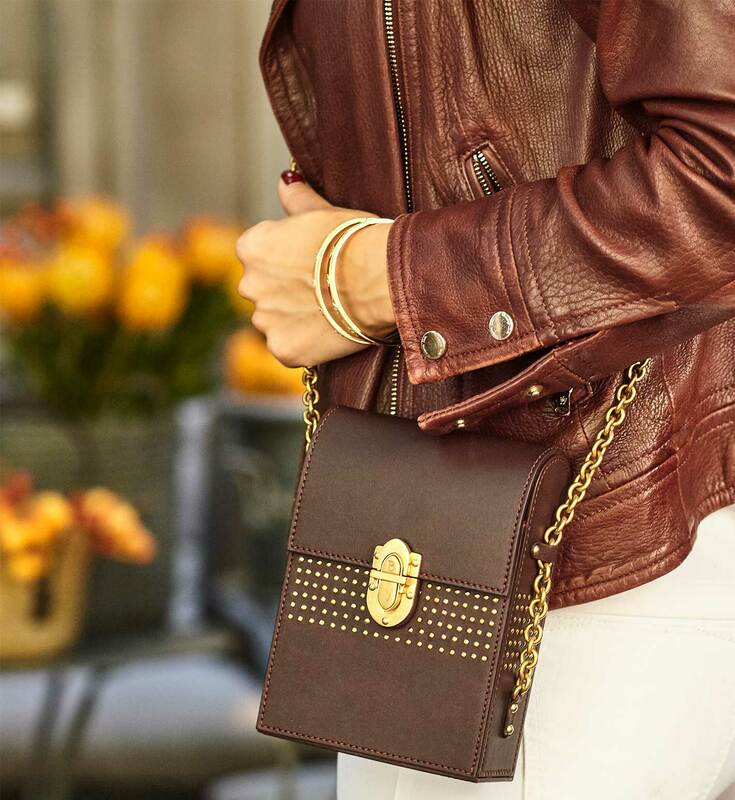 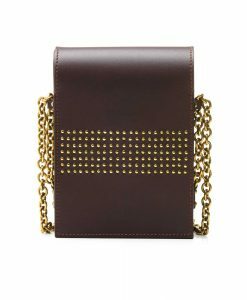 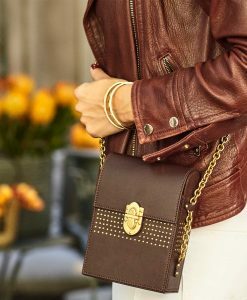 This burgundy leather piece has a sliding chain strap that you can wear on the shoulder or cross-body. 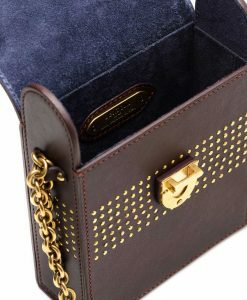 Expertly cut from luxury French calf it has a structured and prolonged boxy silhouette. 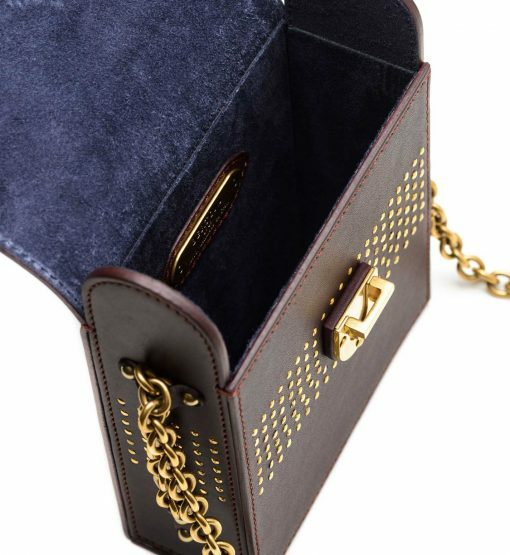 It's lined with black suede. 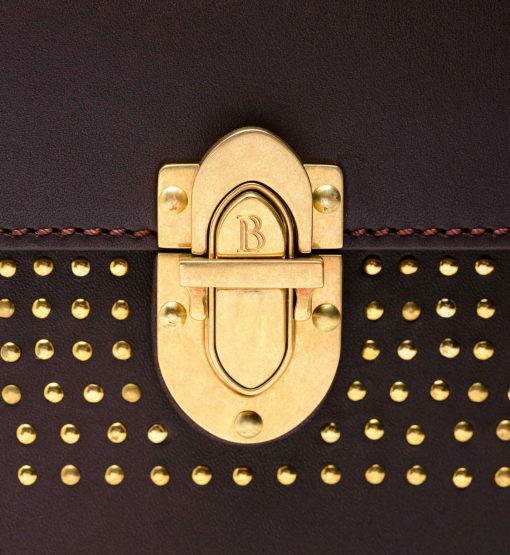 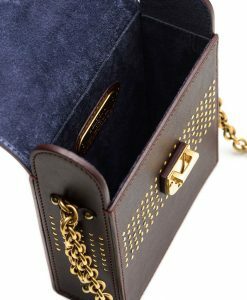 The antique gold metallic hardware is custom made – engraved with brand's recognizable letter B – which makes this lady bag even more special.